Anthony O'Geen in the Mojave Desert. Beneath your home, below lawns, under asphalt streets, farms and natural areas there is a complex blend of minerals and organic matter that varies widely in texture, color and structure. Producing food, maintaining landscapes and building structures all depend on this little understood, but critical outermost layer of the Earth’s crust - the soil. Anyone can learn about the United States’ diversity of soils using SoilWeb, a nationwide database of soil variability first developed in 2004. SoilWeb reached a new milestone this year when it was integrated with Google Maps and designed to scale across any Web-enabled device – desktop computer, tablet or smart phone. SoilWeb has dozens of uses. The information can inform insurers about flooding frequency and builders about locations suitable for roads, basements or septic tanks. The agricultural real estate industry, farmland owners and farmers interested in renting or purchasing land commonly need information about soil productivity and land capability. Knowledge of soil is also important to home gardeners and landscapers. “SoilWeb’s a great way to understand the landscape you live in,” said Anthony O'Geen, UC Cooperative Extension specialist in the Department of Land, Air and Water Resources at UC Davis. O’Geen developed SoilWeb with Dylan Beaudette, now a Natural Resources Conservation Service soil scientist, when Beaudette was a Ph.D. student at Davis. The SoilWeb allows users to find information about the soil at a location by standing at the site with a GPS-enabled smart phone or tablet or by entering an address, landmark or latitude and longitude coordinates for anywhere in the United States. The location’s satellite image opens overlaid with yellow polygons marking soil-type boundaries. For each of the polygons SoilWeb provides information about soil profiles, soil taxonomy, land classification, hydraulic and erosion ratings and soil suitability ratings. 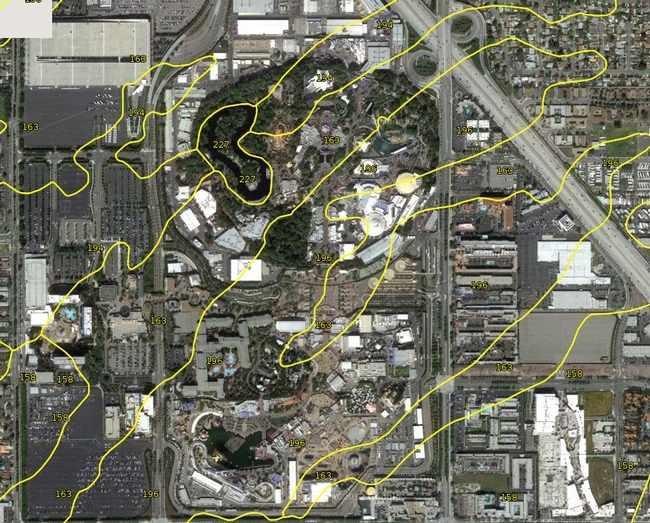 For example, the soil under Disneyland in Anaheim is 80 percent Metz loamy sand, characterized as very deep, somewhat excessively drained soil that formed in alluvial material from mixed, but dominantly sedimentary rocks. This is likely of great interest to the Imagineers who are responsible for maintaining the theme park’s extensive landscaping. All the soil information in SoilWeb was collected from the National Cooperative Soil Survey, organized by the Natural Resources Conservation Service. NRCS began collecting the information in the 1930s. The soil survey reaches about five feet below the surface or to bedrock, O’Geen said. One shortcoming of the database is in some urban areas the soil is classified simply as “urban land.” Where the California State Capitol is situated in Sacramento, for example, the locale is considered 100 percent urban land. No other information is given. In addition, on some rugged terrain in the West, surveys haven’t yet been completed, including parts of the Mojave Desert, Calaveras and Tuolumne counties. 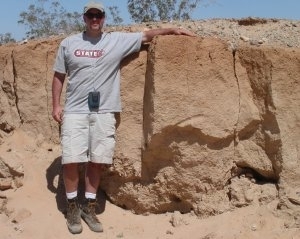 The Magic Kingdom on SoilWeb (http://ucanr.edu/soilweb).